THE FAMILY of Anwaar Lahrichi-Greenwood, whose body was found floating in an Ibiza port, has claimed there is evidence he was struck over the head with a beer bottle. But Spanish police have ruled out foul play in their initial investigation and officially say they still consider the death a simple drowning accident. However, Anwar’s mother, Amina Lahrichi, believes Ibiza police ‘failed to investigate’ the death of her son. The 24-year-old teaching assistant is said to have been separated from his friends on the night of his death on August 4. Unaware of Anwaar’s whereabouts the friends returned home on their scheduled flight on the following morning. 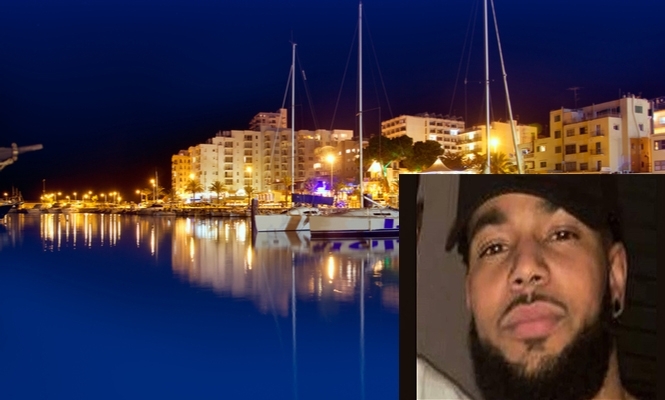 Anwaar’s body was discovered the next day floating in the Ibiza port of San Antonio. Amina Lahrichi said, “We want answers” and that the information she received about her son’s tragic death was “not good enough”. Not content with the police’s version of events, Anwaar’s aunt and cousin travelled to the island to investigate further. Offering a £5,000 reward to witnesses via social media they claim they have learnt of a 5am brawl involving Anwaar during which he is claimed to have received a blow to the head from a beer bottle. Anwaar’s mum has called for a more thorough police investigation after discovering new information. Police previously suggested that the head injuries Anwaar sustained were afflicted after his death – possibly as a result of hitting rocks near the port.